So you have finally built a website which sports all the features and benefits of your product or service. All of your hard work has captivated the attention of your customers. However, potential customers always raise doubt or questions before finalizing the deal, and they usually try to find online chats and social media sites to get their answers. And, if your business websites do not have the option yet, what are you waiting for? Adding online live chat plugins on your WordPress sites for customer support is beneficial since it delivers faster answers and real-time problem solving approach to gain more loyal clients. Now if you wish to perform a live chat functionality on your WordPress website, then you are in luck. Today’s article is compiled from a list of essential live chat plugins for WordPress to support customers. These WordPress support plugins are definitely worth your try. Do check them out and we hope you find the one that works best for you! Do not want to skip any messages from your customers? You want to building trust with online customers? That’s why you need to install Messenger Customer Chat for WordPress plugin. The major benefit of the plugin is ease of use. You don’t need any technical knowledge to get started. Plus, it allows your clients to interact with your business whatever they want with the same personalized, rich-media experience they get in Messenger. Here is an example that show customer’s satisfaction of the product they purchased. 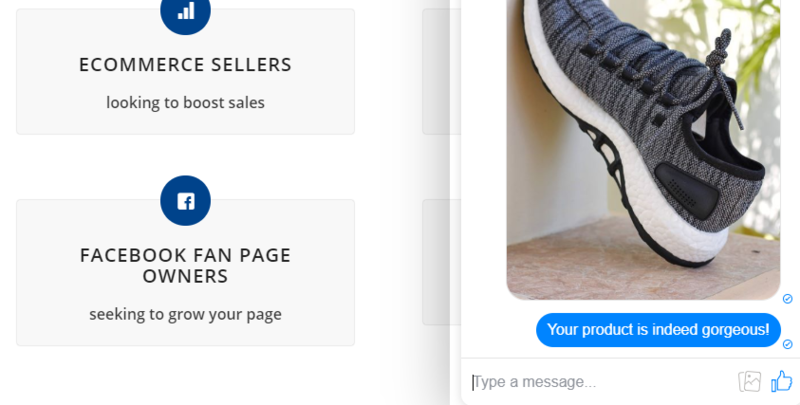 As we can see, the customer can send feedback and picture exactly the same Facebook Messenger right on your WordPress site. You worry about losing messages? This plugin retains the chat history for your conversations with customers and brings it from Facebook to your WordPress live chat. 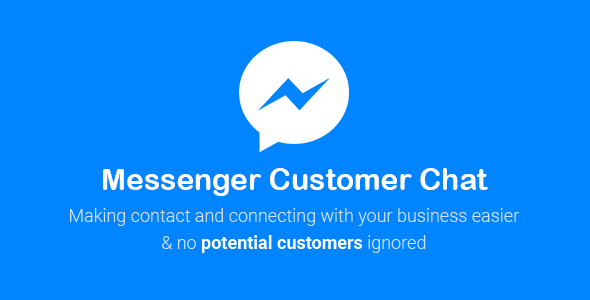 In addition, it automatically loads recent chat history between the customer and your business in both messenger.com and Messenger app. Therefore, you can continue the conversation even after clients left your website. No need to capture the information to follow up. Such a breeze! This feature makes the communication process flow smoothly and the way users get their feedback becomes more convenient. 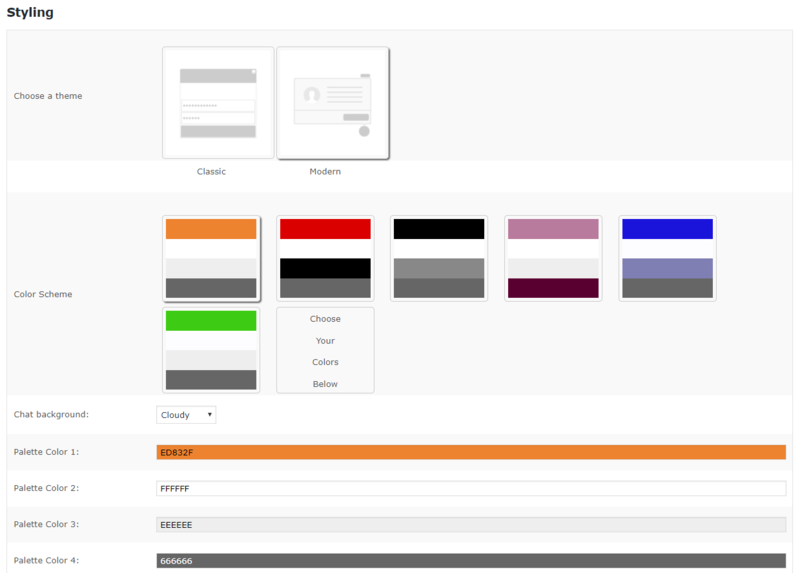 Besides, you can get a lot more customization options here. If you don’t want to run the Facebook Blue theme, change it. Simple stuff! All in all, if you want to give your online business a shot in the arm, the Messenger Customer Chat for WordPress plugin could be your secret weapon. WhatsApp is a massively popular tool. By integrating WhatsApp into WordPress, you can allow the service’s billions of users to connect with you and/or share your content via WhatsApp. WP WhatsApp is a simple and user friendly WordPress chat plugin that allows you to directly chat with clients via WhatsApp in your WordPress website. WP WhatsApp is a lightweight yet configurable WordPress help chat plugin that makes it easier to integrate a floating WhatsApp chat button into your WordPress site. It will always stay at the bottom of the webpage no matter how you scroll down or up the website. The popularity of Facebook is undeniable, right? What if your customers did not use Facebook? There are various available alternatives besides Facebook like Whatsapp, Viber, Skype, etc. That’s why you need Social Tabs Live Chat For WordPress plugin. So, what is it actually? This plugin allows you to put Facebook, Skype, Viber, Whatsapp or SMS live chat box just in one place. 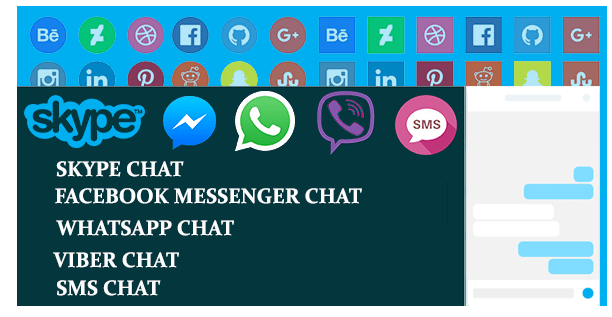 Social Tabs Live Chat is an example of the extended functionality with more than one social network connected to your WordPress website as a live chat. On the whole, this plugin is such a really powerful and communication tool thanks to its user-friendliness in supporting numerous chatting platforms. You want to maintain contact with clients in simplistic and convenient way? 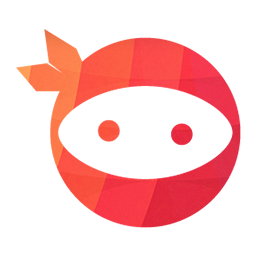 You are passionate about personalization? That’s why you need the Facebook Messenger Live Chat plugin made by Zotabox. Have you ever heard this brilliant plugin? If so, you should check it out and give it a go. Additionally, the plugin has over twenty-thousand active installs and tons of positive feedback, making it the most popular WordPress chat plugin on market. There’s a reason why it’s popular, and if you are not using it already, you should give it a go. Let’s get dive into it. Support your customers via Facebook Live Chat. This plugin enables live Facebook chat support inside your WordPress website. You will directly connect to your customers with your Facebook page via the messenger button. Also, customers can message you directly from the website and you will receive them inside your Messenger app. Moreover, the plugin saves the chat history for your conversations with customers and can bring it from Facebook to your WordPress live chat thereupon. This plugin offers a great number of personalized options to meet your taste. 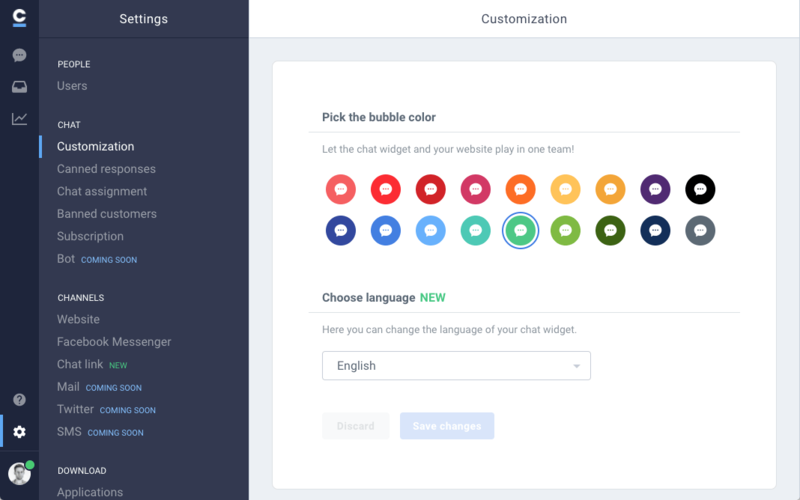 The chat boxes are among the most stylish you will find, with beautiful, customizable layouts and themes. Seriously, this plugin is a huge time saver and a must-have component for every WordPress users. Facebook Messenger Live Chat is full of features, mobile friendly and compatible with all WordPress themes. Make sure to install it to persistently stay in touch with potential clients. WP Live Chat Support is an awesome free WordPress help chat plugin that is ideal for businesses of all sizes and is widely used by many sites. It is easy to use, and offers rich customization to make sure your users have the best option to engage with you. This WordPress chat plugin includes 6 different live chat box themes that you can choose from. This gives you choice in terms of style and appearance of the chat widget. Compatible with translation plugins for a multilingual experience. Option for anonymity for your users. Allow automatic live chat pop-up. Option to enable the chat box for only registered users. All chats are displayed through an intuitive dashboard. For a more convenient experience, the offline messages can be stored and you can also get access to the history of the live chats within a few clicks. 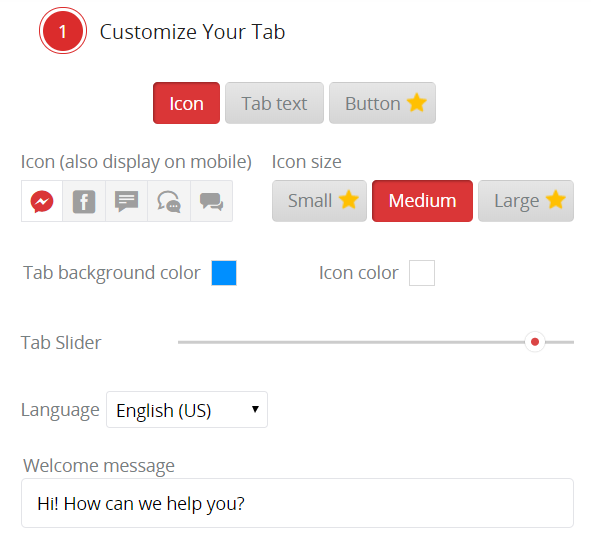 As it is highly flexible and customizable, this plugin offers rich personalization options like colors customization, widget selection or custom attention grabbers, you could give definitely its outlook a chance. 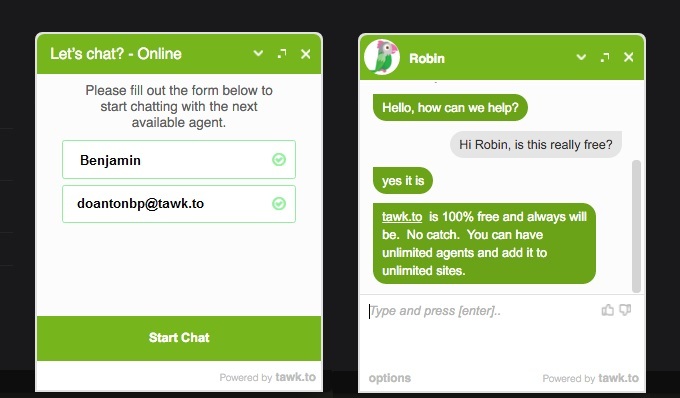 It supports an unlimited number of agents and live chats at a time so that the entire team can be dedicated to the chat with ease. Additionally, it also supports translation plugins that makes sure you have no problem when communicating with your international clients as well. This support plugin is compatible with all modern browsers and digital gadgets running iOS, Android, Windows and Mac OS that enable you to stay connected with customers. Looking for a way to give instant online support to website visitors and customers? Chat.io is another help chat plugin integrated into WordPress to allow businesses to communicate with their online visitors, handle support queries and onboard new customers. Chat.io can be used with Facebook Messenger, Twitter and email, helping you to constantly stay connected with potential and existing customers at any time, wherever they are. With chat.io, it is possible to offer a 24/7 customer service to customers. It serves as an easy-to-use live chat tool during the day and after office hours enables communication with clients by storing their messages. Each chat transcript is saved without an expiration date which makes it easy to search for any information when needed. REVE Chat is a multi-channel cloud based live chat software plugin that provides real time assistance to your website visitors for better customer support, service and boost sales conversions. Businesses can instantly engage with their customers across various channels such as Website live chat, Voice/ Video Chat, Facebook Messenger, Viber, Mobile apps (Android, iOS) using a single platform. Interact with website visitors in real-time. Customers get an instant solution to their queries. Receive valuable customer feedback after every chat session to gain insights and improve the quality of your service. In addition to the great above benefits, REVE Chat also boasts some of the advanced features including Screen-sharing, Auto-triggers, Visitor analytics, customizable chat banner and more. As it is highly customizable, you can personalize the widget to match your theme design effortlessly. That concludes our roundup of 8 of the best WordPress chat plugins for customer support. Live chat plugins are an essential tool for enterprises that want to be available to their customers at any time. The plugins enable businesses to make more sales and improve customer satisfaction. If your business needs a team to always be available customers assistance, then you really give these plugins a go and who knows one of them will be your secret weapon. Do you have experience with any of these plugins? Would you add any of your favorite plugins to the list? Share your experiences and thoughts in the comment section down below. We’d love to hear that!